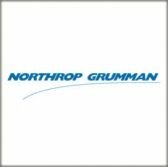 Northrop Grumman will support information technology modernization and transformation activities at the Social Security Administration under a potential 10-year indefinite-delivery/indefinite-quantity contract awarded in August 2017. The company said Thursday it seeks to help SSA update and engineer software, manage data and database and secure IT platforms through the IDIQ re-compete award. Northrop, CGI’s federal business and Leidos hold positions on the SSA’s Information Technology Support Services contract. Erik Buice, vice president of Northrop’s health services business, said the company previously the agency implement a data center and both parties have shared multiple innovation ideas during their collaboration.